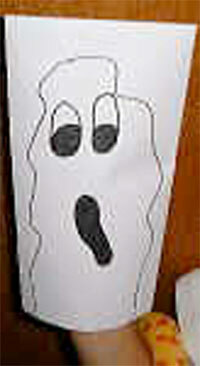 Draw a ghost lengthwise on the envelope. The ghost can just be a flat-bottomed oval with two circles for eyes. Cut off the bottom edge of the envelope. Put the ghost puppet on your hand.